Road rage is quite common and can lead to a severe backlash. Is it sensible to risk lives for petty driving issues? This article takes you through the heart of the matter. I’ve seen courteous, well-mannered and jovial people getting irate, stubborn and complete nerds when they get behind the wheels. Such poor attitude leads to nothing but risky and unsafe driving. Road rage is one of the many reasons for traffic fatalities. 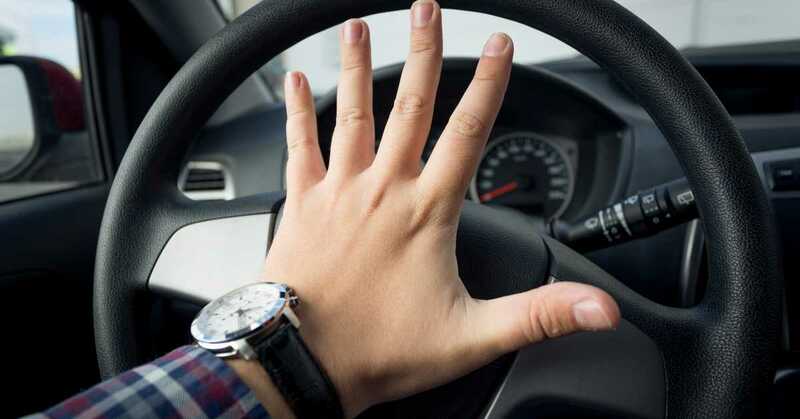 Spinning in and out of traffic to get ahead, tail gaiting, multi-tasking while driving, and making annoying gestures or getting irked with other motorists are few of the examples of aggressive driving. Sound familiar? Well, we’re not naïve to such incidents. A huge number of drivers demonstrate this type of behavior every single day that causes disasters or brawls. Now, the main question is how to deal with such aggressive, angry and unsafe driving. Well, the best weapon is—strict law enforcement. But, in most cases, such poor driving behavior seem to happen only when there’s no cop in sight. Hence, it would be great if every driver endorses responsible and compassionate attitude. Since old habits die hard, this could be a bit challenging but keeping an open mind and laying down your defenses would help sooner or later. Let’s see if any of these symptoms define you. It’s terrifying to be in a close call with another driver and feelings of ill-will quickly seem to rise into our minds. But when you know it’s an everyday saga, is it worth your emotional strength to get that worked up? Much of our driving attitude is coiled up in time management. If you have enough time in hand, gaining composure in traffic is a little simpler. However, some of us just beat the speed every time we get behind the wheels. Higher speed can lead to not just a fine by a traffic cop, but also decreases the reaction time to avoid an accident. Having a stubborn, irresponsible approach towards other drivers is a poor habit in itself. If you have a single-minded opinion about everyone’s driving habits, you could end up defending all sorts of bad moves yourself. Being too close to other drivers, obstructing crossings, making sharp moves to overtake slower drivers are just a few of the many conditions we justify when we believe everyone else is driving below par. Remember, you're not participating in a race. Any edge you get from a competing situation on the road will mean nothing if it results in a significant traffic hazard. No matter how much you believe that people should drive the way you want them to—they won't. So why make a scene that could turn out to be a big disaster? Being caught up in rage or aggressiveness can make you challenge the rules of the land. Whether you jump a signal or flout rules of the highway, your anguish with the laws puts you and others in danger. Ok, let’s face it. It’s not always somebody else’s mistake. When you do make a mistake or inadvertently cut someone off, own it and apologize. Be accountable for your own driving and you’ll feel better about yourself as a native of the highway. There are loads of situations that can cause aggressive driving. To keep you sane and under control, avoid driving when you’re fatigued, in a bad mood or under stress. Here are some more suggestions that'll help you remain calm and composed on the road. Music is the greatest comforter. Indulge in music that touches your soul. Recognize and believe that you can’t control others except yourself. Be positive, even when others respond adversely. Embrace solidarity, compassion, and rationality. Count numbers or use deep breathing techniques to regain your composure in annoying situations. Be compassionate and consider that other driver may have a basis for their not-so-good behavior. Remember, resentment and aggression in your daily life can lead to health issues like headaches, stress, depression, and increased blood pressure. While we can't escape things like traffic chaos and miserable road conditions, rest everything can be handled harmoniously. Give it a try!